Many a times I hear people say that they have never been successful in binary options trading, therefore nobody should waste time on binary options trading. The problem I have come to realise with these set of people is their poor risk management in binary options trading. First, every trader should understand the true fact that binary options is highly speculative and as such it should not be approached as though one is gambling. A trader must invest time in knowing how the system works and how to make calculated investment based on strong indices, than trading impulsively. Like many other financial investments, binary options carries risks and good potential rewards. Every trader will at some point in time lose money in the financial market. What stands good investors out, is that they manage risk effectively while bad investors don’t . Great investors over the years have discovered that to get huge rewards they don’t have to run away from risks rather, they sit back and do gainful analysis of how to manage those risks and come out successful, this is one of the traits that separates them from the rest, “they are good at risk management”. Many people who complain of binary options are people who lose their money, of which in many cases it could be attributed to poor risk management, and ofcourse they go about crying foul that binary options are scam. Although scams exists, of which we have dedicated most of our time at Bestbinaryoptionswatch.com to warn traders about. 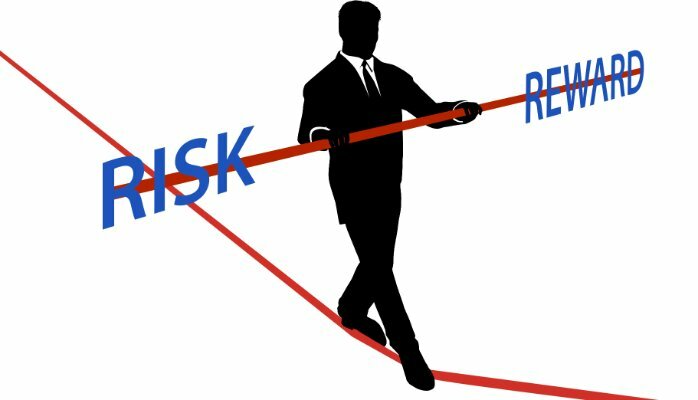 We have put together the following tips for risk management in binary options trading. Binary options are good in the sense that you have lots of assets you can trade on, which includes stocks, currency pairs,commodities, indices. You might be knowledgeable in, for example commodities , good risk management in binary options warrants that you should trade commodities as this will give you an edge. However, this doesn’t mean you should not do some analysis since you know commodities very well. As a matter of fact, you have to still be up to date on recent happenings and market trends, as been over confident and relax could make you lose trades. On the flip side , it doesn’t mean you shouldn’t trade other assets because you know little about them, what we mean is that to trade other assets you have to learn them and how trends affects them. What a trade diary does for you is record keeping for you to know where you made mistakes, things that made you win, how you made a trade and the outcomes. This helps sharpen you more and makes you better in subsequent trades. For most parts, every trade was influenced by some strategies and maybe what you saw in the markets and some calculated predictions and also the time of trade. By analyses of these records you will discover the mistakes in you strategies that made you lose and this will help you avoid them subsequently. In this records you could also discover the tricks to your successful trades and apply them in your next trades. Forget what you here that binary options is a get-rich-quick system. The truth of the matter is that it is not, many brokers may make you see it as though you invest your money , then either choose ‘call’ or ‘put’, and the boom the money starts rolling in. To manage risk in binary options you shouldn’t trade impulsively. Emotions and feelings are things that when you give room for in trading can send you down a downward trend. Some people when caught up in a losing streak would still be investing with the mindset to recoup their lost funds, this is poor binary options risk management,although some strategies like the martingale system allows for this, but be mindful that this is well calculated in this system. To protect your funds when you find yourself in this situation, simply stop and allow the market to normalise before investing.Some traders could also be caught up in a winning streak and this would arouse greed, making them make impulsive trades that could turn the table around and make them lose in the end. Always, have the eye of an eagle. At every point in time be calculative, don’t allow emotions override you. Set targets This is also very important, targets could be number of trades or percentage of your account you want to trade in a period of time. When you decide this, stick to it,don’t allow trade outcome make you overshoot what you are willing to carry at a particular point in time. However skillful,calculative or best strategy you use, trading with scam brokers would make you lose. It is always best you trade with trusted brokers , the ones we recommend gives you insurance of some percentage on lost trades if you wish, though sometimes this could reduce the payout. If you decide to trade with automated softwares or robots then we recommend you select from our recommended list of softwares.